4.1 out of 5 based on 43 bloggers and 4 commenters. 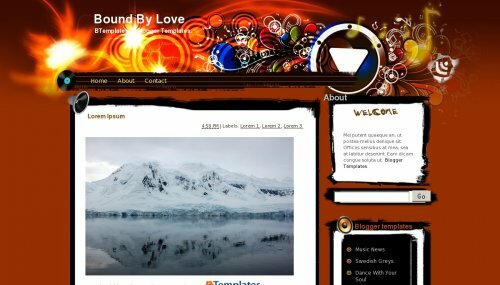 Bound By Love is a free blogger template adapted from WordPress with 2 columns, right sidebar, grunge style, abstract and vectorial elements. Hi can you adjust the Go-Button of the search-widget?